Mother’s Day is a time for wining, dining and celebrating moms everywhere. Whether it’s for Mother’s Day, Easter or another special celebration, make it one to remember by hosting a special brunch get-together for the special people in your life. You can really knock your Spring brunch out of the park with this Chevre Tart Recipe along with Pinot Noir Rosemary Butter. Although quality time together is the true purpose of the day, you can add some special touches to help create a one-of-a-kind brunch to share old memories while you make new ones. Colorful, fragrant flowers and luxurious linens make your everyday table shine. Use plates in complementing shades and sparkling glassware for an elegant touch. If you have room, add personal touches to the centerpiece, such as mementoes from shared trips or small picture frames with pictures of the two of you through the years. Give a nod to the importance of the day with dishes that are a step above standard brunch fare. A richly flavored entree such as this Spring Vegetable and Chevre Tart looks elegant but is surprisingly easy to make. 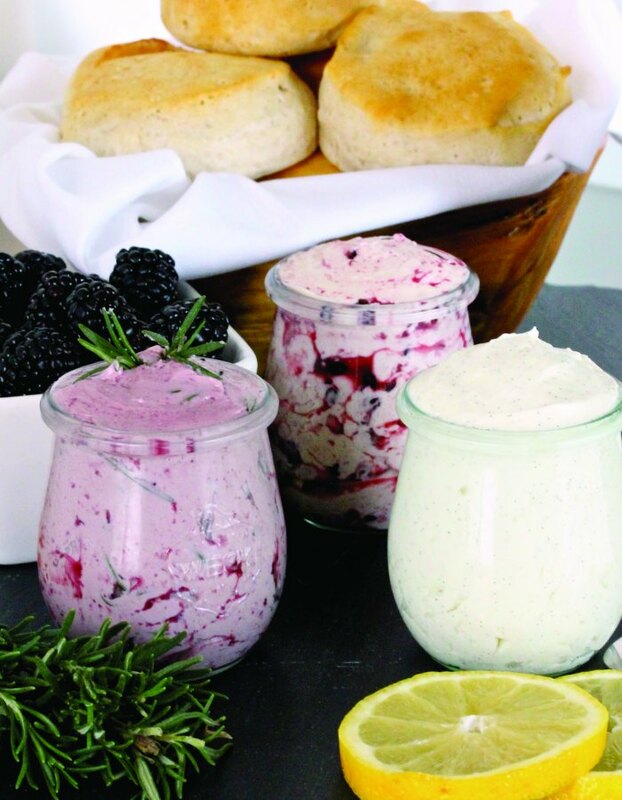 For a cohesive spread, remember to give the basics a boost, too, such as a homemade flavored whipped butter. 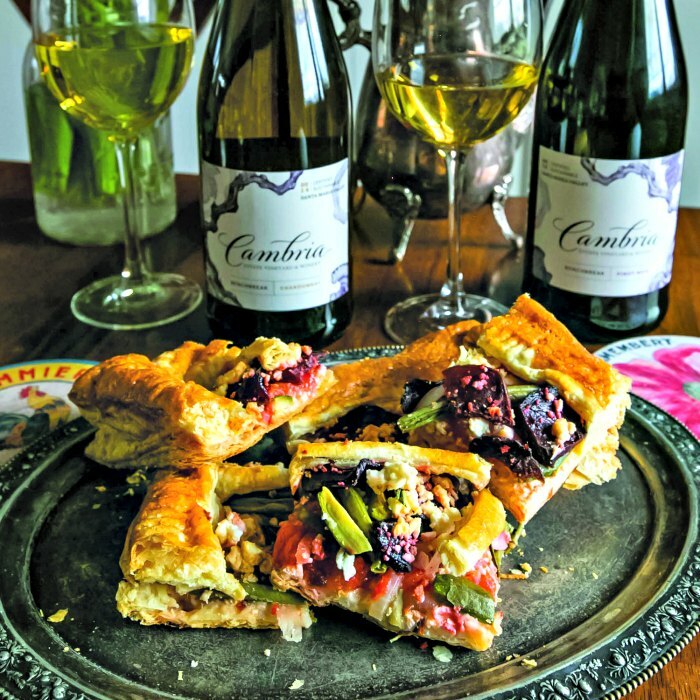 To truly elevate the occasion, serve (or gift) your mom with a deliciously meaningful wine, such as Cambria Benchbreak Chardonnay or Pinot Noir from the famed Santa Maria bench in Santa Barbara County. Cambria is a family-owned winery that believes in honoring women across the United States and globally. Each year, the winery gives $100,000 to women making a difference in their communities through their Seeds of Empowerment program. 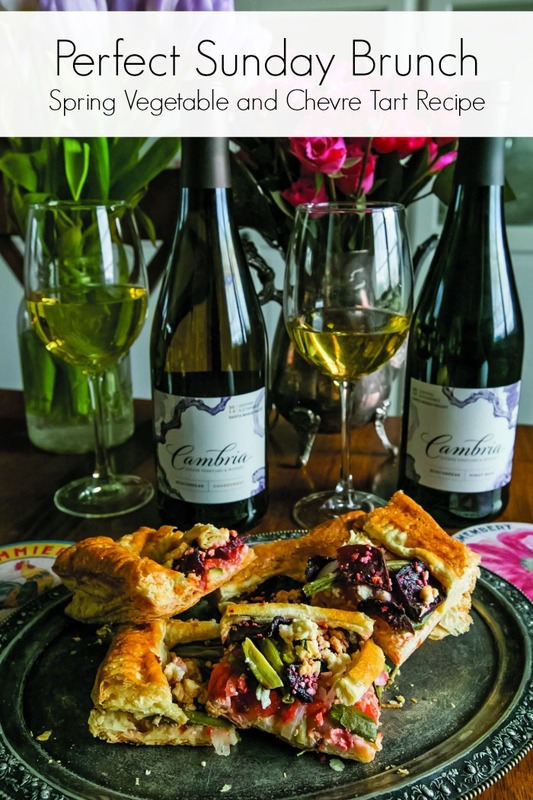 For more recipes and ideas to enhance your celebrations, visit cambriawines.com. A special thanks to Courtney O’Dell of Sweet C’s Designs for this fabulous recipe! On well-greased baking sheet, arrange one puff pastry sheet. Crumble chevre across pastry. Lay tomato slices then green beans, zucchini and beets over chevre, leaving a 1-inch border around all edges. Crumble second half of chevre on top. Lightly wet edges of pastry. Slice four 1-inch strips of second sheet of pastry and lay over edges of bottom sheet. (Optional: create basket-weave pattern with remaining pastry dough). Brush pastry with egg white and bake until pastry is deep golden brown, about 35 minutes. Serve immediately. A special thanks for Erin Kennedy of My Thirty Spot Blog for this recipe. Fill shallow saucepan with wine and simmer until consistency becomes syrupy (reducing to about 1/8 cup). Add syrup and rosemary to whipped butter and mix. Serve chilled. 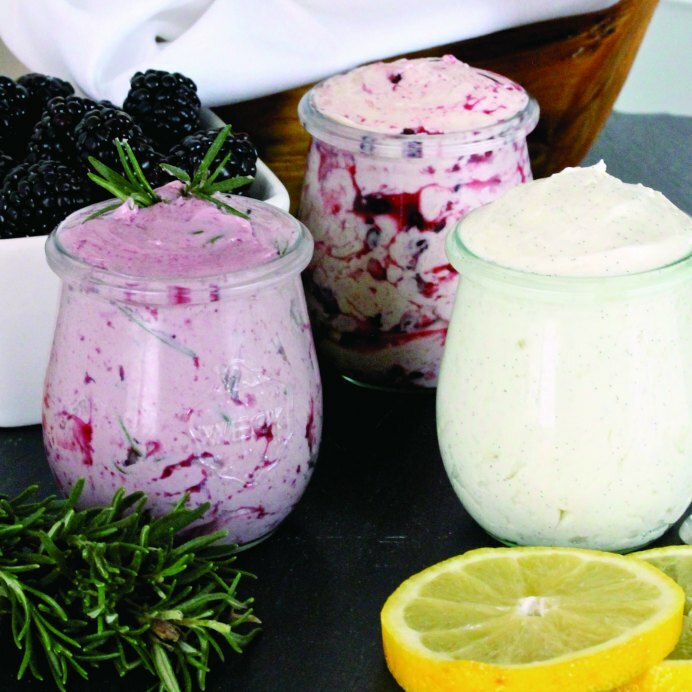 In food processor, mix butter until cream turns to consistency of cottage cheese and starts to separate from buttermilk, about 3-5 minutes of constant mixing. Strain butter from buttermilk. Use wooden spoon to knead butter in water (just like dough) to remove all remaining buttermilk. Drain and repeat until water is clear. Remaining whipped butter is ready to serve or for adding flavoring ingredients. Fill shallow saucepan with wine and simmer until consistency becomes syrupy (reducing to about ⅛ cup). For Butter: In food processor, mix butter until cream turns to consistency of cottage cheese and starts to separate from buttermilk, about 3-5 minutes of constant mixing. Strain butter from buttermilk.